Executive Mosaic’s GovCon Index closed higher Thursday on strong performances by CACI International (NYSE: CACI) and Harris Corp. (NYSE: HRS) after both contractors reported quarterly earnings above Wall Street’s expectations. U.S. stocks in contrast ended mostly flat as investors waited Friday’s job report and weighed President Donald Trump’s comments to lawmakers that he wants to either renegotiate or replace the North American Free Trade Agreement with Canada and Mexico. GovCon Index gainers and decliners split roughly even as six of its 11 S&P 500 components advanced with CACI as the GCI’s top overall net performer, while second-ranked Harris ended as the lead gainer among companies listed in both indices. CACI hit a new 52-week high during the session after the Arlington, Va.-based government services contractor lifted full-year sales and earnings guidance with second quarter top-and bottom-line numbers that topped the consensus analyst forecast. Company executives subsequently told Wall Street analysts they see potential regulatory and corporate tax reductions under the Trump administration as a benefit to the federal contracting industry, while they also view the president’s push for more border protection and national security spending as aligned with CACI’s offerings. Harris’ second quarter earnings came in above Wall Street’s forecast with revenue below analysts’ expectations in the communications technology maker’s sixth financial report since its May 2015 acquisition of Exelis. The Melbourne, Fla.-based company stated results nearly a week after it announced the pending $690 million sale of its information technology services business to Veritas Capital in a portfolio reshaping effort aimed to focus Harris on product manufacturing. 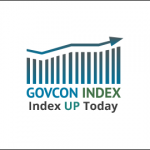 GovCon Index-S&P 500 company Boeing (NYSE: BA) led all GCI decliners with co-listed McKesson Corp. (NYSE: MCK) second and both fell by at least $1.00. Six GCI stocks rose by more than $1.00 Thursday: CACI, Harris, Huntington Ingalls Industries (NYSE: HII), Science Applications International Corp. (NYSE: SAIC), Northrop Grumman (NYSE: NOC) and Lockheed Martin (NYSE: LMT). Telecommunications shares led seven major S&P sectors lower with real estate the top gainer among the remaining four.